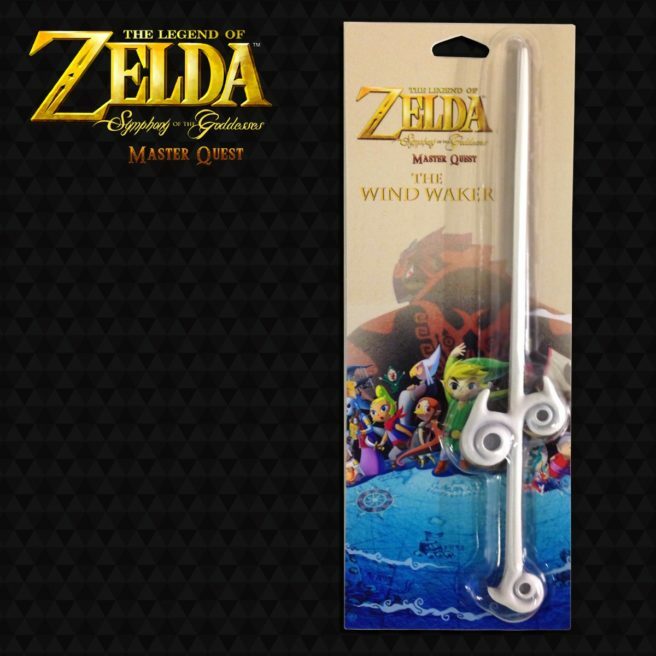 The Legend of Zelda: Symphony of the Goddesses has announced that the Magical Wind Waker Baton, featured The Wind Waker and used by the conductor of The Legend of Zelda: Symphony of the Goddesses, can be purchased for the first time ever. Fans can pre-order it online here or purchase one at any upcoming Zelda Symphony show. As previously mentioned, new dates have been added to The Legend of Zelda: Symphony of the Goddesses. You can find the full lineup here if you missed it previously. All new shows will include updated Twilight Princess gameplay in HD.